Editorial Remark: It must be noted that all the opinions are of the authors and not of FOTW. Our site is non-political and concentrates only on vexillological issues. There is a flag on plain red background, resembling the same colors as the Partido Comunista Colombiano (Colombian Communist Party). This flag is the flag of the PCCC, which stands for Partido Comunista Colombiano Clandestino (Colombian Clandestine Communist Party), an organization that runs parallel to Movimiento Bolivariano para la Nueva Colombia (Bolivarian Movement for the New Colombia). This PCCC organization is an organization created by the FARC in order to replace the original PCC (Colombian Communist Party) because the Farc believes that the PCC is not radical enough and does not consider armed struggle to reach power. The flag is, as I mentioned before, a plain rectangular red flag, with the letters PCCC in black on the flag in diagonal form starting from the bottom left and ending on the top right, on the top right having a yellow hammer and sickle. Sources: Resistencia - Farc online magazine at redresistencia.org. ANNCOL - Farc news website at www.anncol.org. Semana magazine edition October 1, 2001, page 52. Unusual in a communist flag for the emblem to be in the fly. I found a variant of the flag of the PCCC. This time the letters appear in white, plus the hammer and sickle (also in white). Background is plain red and the design resembles pretty much the flag of the PCC. PCC stands for Partido Comunista Colombiano (Colombian Communist Party). This organization was established in 1930. Its official website is www.pacocol.org. The Partido Comunista de Colombia - Maoísta (Colombian Communist Party - Maoist) is a split group from the PCC (Colombian Communist Party). The PCC-M was established in 2001. It has an official website: pccm0.tripod.com. the PCC-M's flag is the same as the PCC's flag regarding ratio of the hammer and sickle. The Partido Comunista de Colombia - Marxista Leninista (Colombian Communist Party - Marxist Leninist) was a split group of the Colombian Communist Party, established in 1967. The armed wing of the PCC-ML was the EPL (Ejército Popular de Liberación). There was a Colombian armed guerrilla group: Partido Revolucionario de los Trabajdores de Colombia (PRT), or Colombian Revolutionary Workers Party. The party was founded in 1982, but started its armed struggle in 1984. It emerged out of the 'Majority' faction of the Marxist-Leninist-Maoist Tendency, abbreviated as Tendencia ML (ML Tendency). The ML Tendency emerged in late 1974/early 1975, after the 4th plenary session of the Central Committee of the ML). The founders of Tendencia ML, had been based in the Pedro Vásquez Rendón regional committee of PCC(ML) in the Department of Antioquia. They opposed the directive of the PCC(ML) party leadership that cadres in the urban labour, student and teachers movements had to shift to the countryside to join the Popular Liberation Army. The Tendencia ML criticized PCC(ML) for giving insufficient importance to trade unionism, electoral work and other mass struggles. Tendencia ML was given by internal divisions. By the late 1970s, two separate groups had emerged, the 'Majority' and the 'Minority'. The 'Majority' would later form the Workers Revolutionary Party (PRT) whereas the 'Minority' joined forces with the Revolutionary Unification Movement - Marxist-Leninist, merging into it by 1982. The PRT was a group that had broken away from the Communist Party of Colombia (Marxist-Leninist) in the mid-1970s. It was mainly active in the Departments of Sucre and Bolívar. When the PRT militias were demobilized in January 25, 1991 it had around 200 fighters. Apart from its armed struggle PRT maintained an open mass front, the trade union organization called Corriente de Integración Sindical. PTC (Moirista) - Partido del Trabajo de Colombia (Moirista) (Colombian Workers Party (Moirist)) was established in 2001, based on the Organización Comunista de Colombia - Marxista Leninista Maoísta (Colombian Communist Organization - Marxist Leninist Maoist) which in turn was established back in 1990. 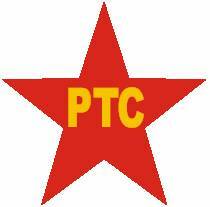 The establishment of the PTC (Moirista) was due to the abandoning of the Marxism-Leninism doctrine by the EPL. I have not seen a flag yet, but I do think they have one. Source: Screenshot from official website. I found recently on the web the flag of a Colombian organization at a rally. This organization is called FUNCAMIPAZ (Fundación 'Caminate por la Paz', or Walker for Peace Foundation). It is made up of former Auc combatants, and it is established in Medellin. It supports sports activities and also farming projects. There's a group called Erg (Ejercito Revolucionario Guevarista, or Guevarist Revolutionary Army), named after Ernesto Guevara de la Serna, alias "El Che". This is a breakaway faction of the	ELN. The remnantas of the group, 45 members total, demobilized on August 14, 2008, on the Municipality of Carmen de Atrato in the Department of Choco. Its area of influence was the Department of Choco, the Southwesternt part of the Department of Antioquia and the Department of Risaralda. For more info please see: High Commissioner for Peace, official website, Ministery of Defense web site, General Command of Military Forces web site, El Tiempo and El Mundo. The flag for this group is supposed to be the same color scheme as the Eln flag with the same proportion as well, only that in the middle it features Erg logo. PDI (Polo Democrático Independiente, or Independent Democratic Pole): A broad coalition of leftist movements, it is a legal democratic party in Colombia. Its official website is www.polodemocratico.net. At El Tiempo newspaper, a photo appeared on September 11, 2007. It features a PDI sympathizer waiving a PDI flag outside an election post back in 2003. The Party's current is shown at Vivir En El Poblado (Living at El Poblado, a local newspaper of the Neighborhood El Poblado, in the city of Medellin, showing the CV's of political candidates aspiring to the 2007 elections. The ASI was established in June 1991 during an Assembly held by the Yaguará natives in the Municipality of Chaparral. There are several leaders from Cauca, Tólima and Antioquia. They currently have political representation at different levels in different Municipalities and Departments. The ASI has changed its name to Alianza Social Independiente during an Extraordinary Convention held between January 28 and 29 of 2011, through voting. The new flag is the logo in a white circle, in the middle of the flag, which is a rectangular flag divided into three equally sized stripes (yellow on top, green on the middle and red on the bottom) as seen here (flag on the left). There is a variant, which is the same logo on a white horizontal flag, as seen here. The Movimiento Apertura Liberal was established in January 1993, by the congregation of four councilmen from the city of Cúcuta and was recognized officially by the C.N.E. on July 24, 1997. It currently has representation in different Departments and cities at different levels. MRL (Movimiento Revolucionario Liberal), was founded by Alfonso López Michelsen in 1959. The MRL lasted from 1959 until 1966, achieving several seats in Congress and also some victories on the Sate and Local level, when it returned to the Liberal Party of Colombia mainstream in an agreement to accept several changes proposed by the MRL dissident leader. An armed illegal group created in 1992 was called "Los Pepes" (Pepes stands for Perseguidos por Pablo Escobar, or Persecuted by Pablo Escobar). This was a mixture between Escobar's former Medellin Cartel associates and Cali Cartel rivals, who, after Pablo Escobar was interned in La Catedral prison in 1992, he (Escobar) started to murder his closest Medellin Cartel associates. Thus, this anti-Escobar alliance proved helpful for Colombian authorities when this organization started to hunt his lawyers, Escobar's relatives, associates, hideouts, properties, bodyguards, and tip the Colombian legal authorities with valuable information. Los Pepes disbanded later in 1993, but this was somehow the main core out of which the current AUC (right wing armed illegal organization) emerged. Source: photo at SEMANA magazine - November 30th, 1998 (caption of the photo (translation): When Los Pepes came out in the open we applauded them. We almost issued t-shirts saying 'we support Los Pepes' - Words by Mr. Joe Toft (Director DEA Colombia back then).